I am lucky to have worked in Paris for almost one year (Runaway Brain). So fortunate to have many French friends. My command of the language is not very good, but after a glass of wine I seem to be able to get by with French party talk. My favorite language in the world. I don't need to point out that the French have class and taste. 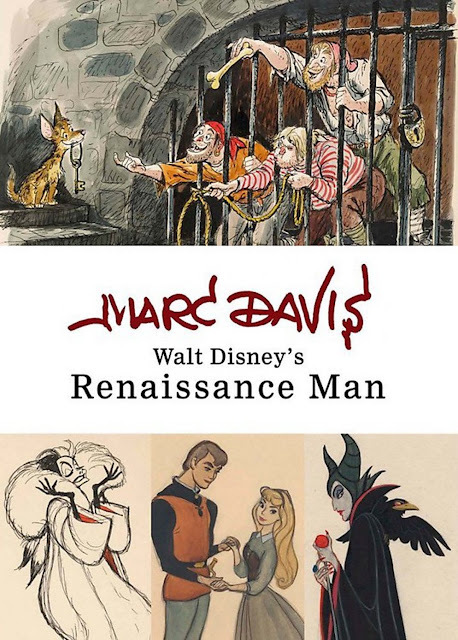 When Disney published a book on animator/imagineer Marc Davis in 2014, the cover became an issue of discussion. How do you present Marc's remarkable talents? 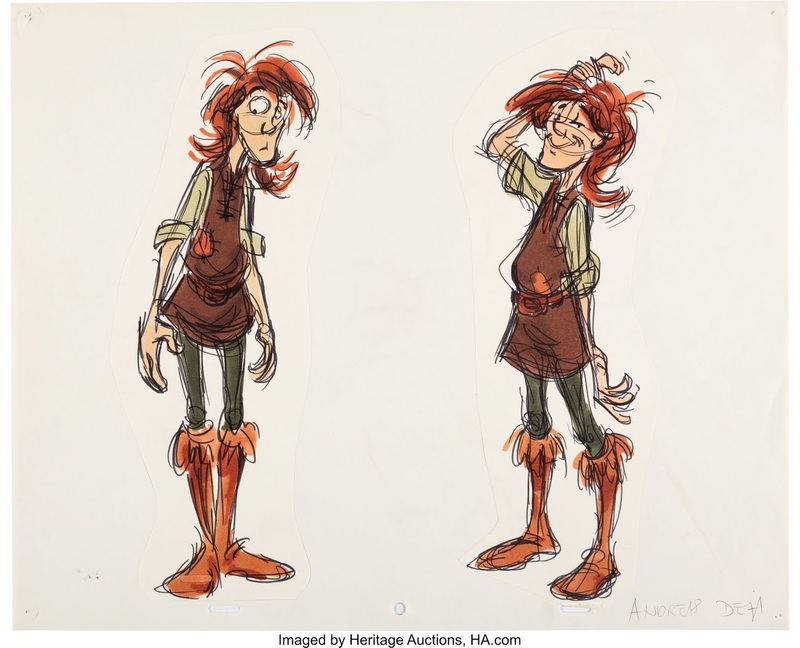 Disney/US chose a variety of images that cover a few of Marc's achievements. 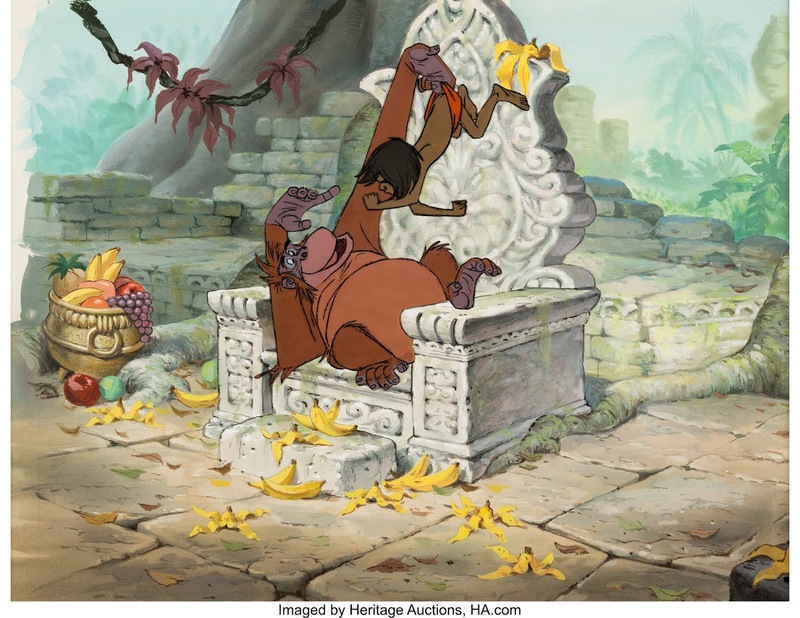 An obvious choice, since he was Disney's renaissance man. But look at the cover of the French version! WOW! 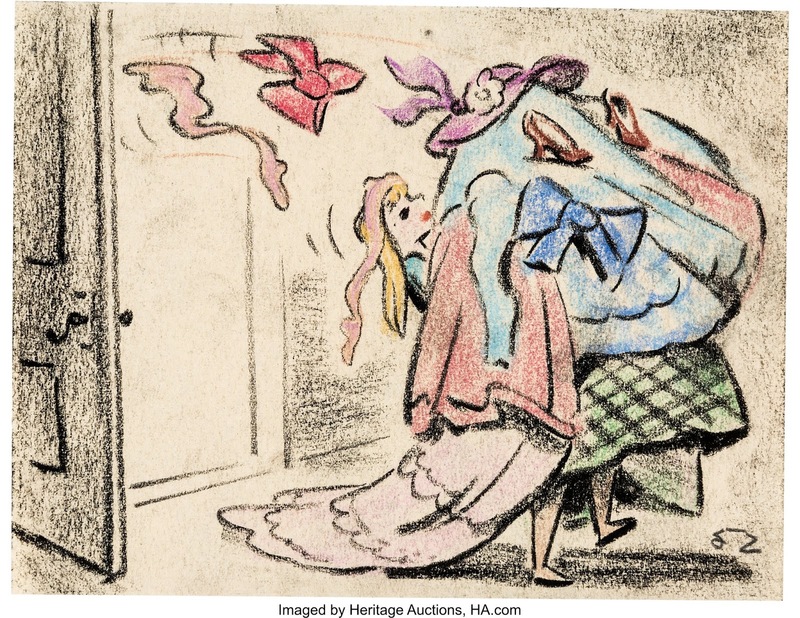 One drawing that says it all. This partial development drawing of Maleficent shows strength in composition, powerful use of color and of course personality. This image is worthy of a poster! The book does go into detail about Marc's many talents. (I wrote a chapter on his animal life drawings.) In animation he became known as the master of leading ladies, heroines as well as villainess personalities. 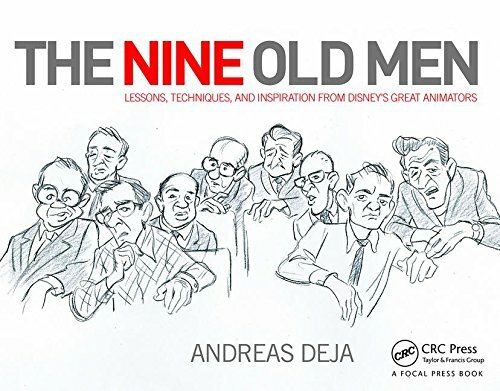 The cover of the US book. 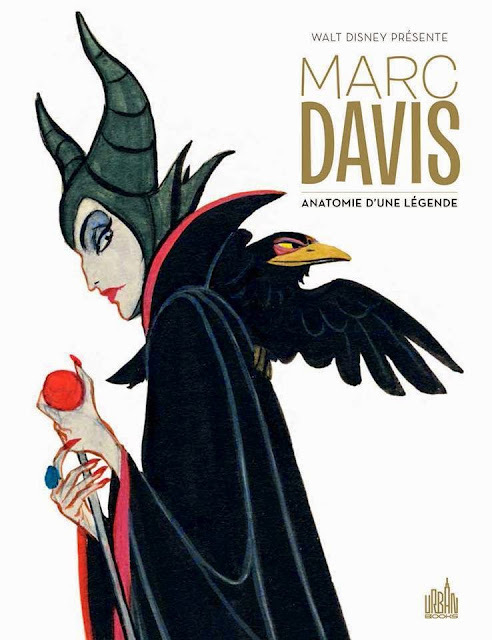 It does give you more information about Marc's work, but somehow the French version knocks it out of the park. ... Happy Holidays to all of you! 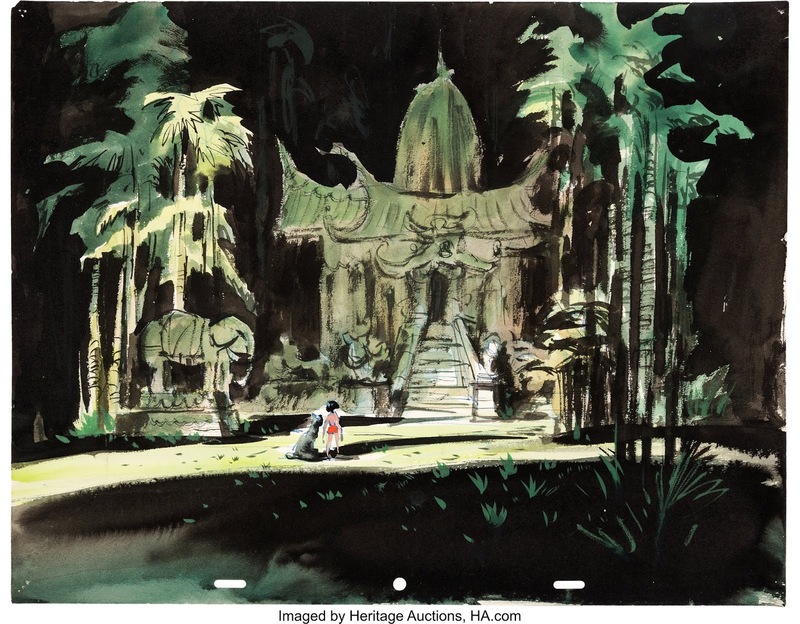 This is a vintage photo to promote Disney's 1967 release of The Jungle Book. Growing up in Germany meant that any Disney animated release (or re-release) was around Christmas time. 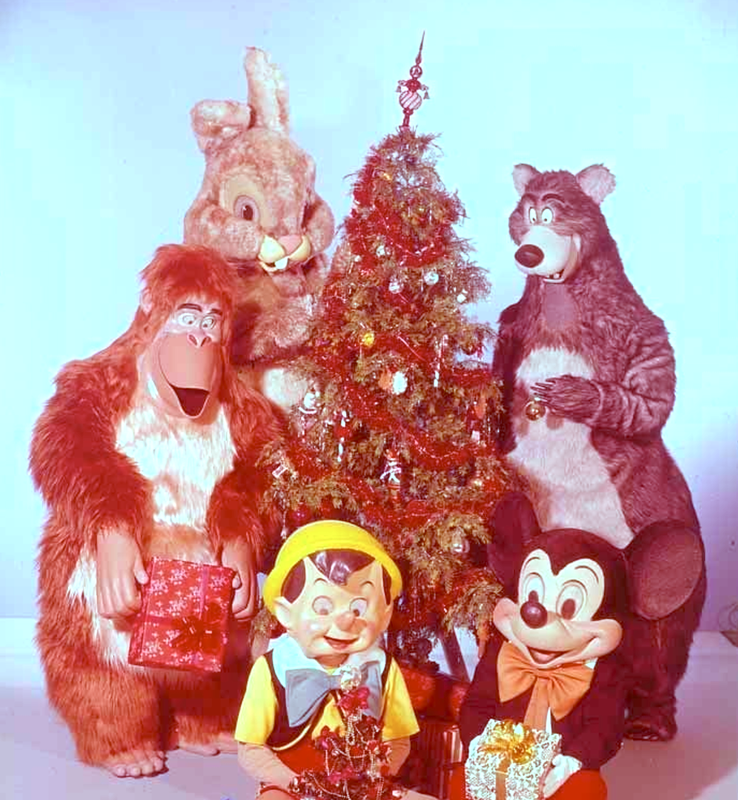 That's why it is impossible for me to separate Christmas from Disney. Best time of the year by far!! During this holiday season we are working hard to push our 1/2 hour film MUSHKA to the finish line. I think we need one more year. There is plenty to do, but also plenty has been finished. Recently a lot of new color scenes have been added to the reel, and I am beyond ecstatic. 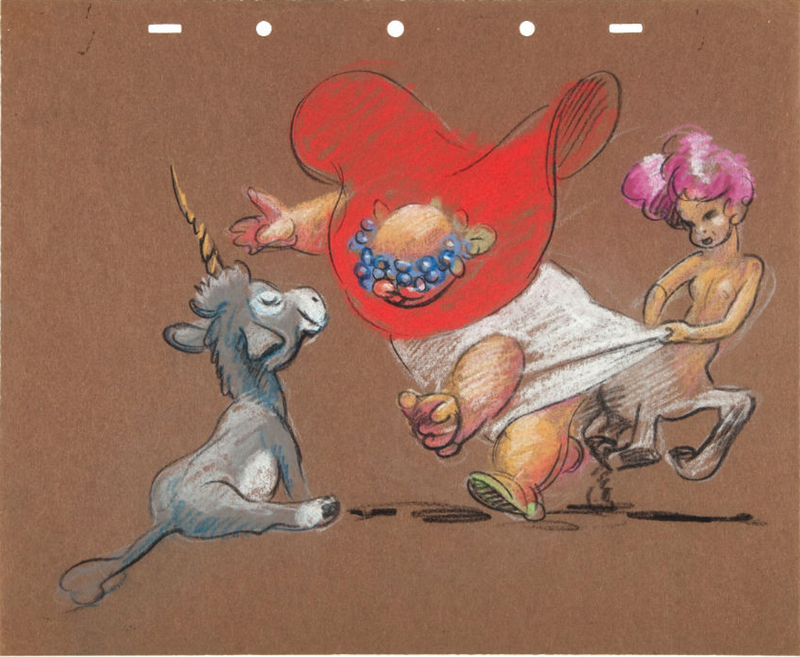 We are using TV Paint, so the characters drawings need to be opaqued in white first, before getting the color treatment. We then add minimal highlights and shadows as well as some color pencil texture and film grain. 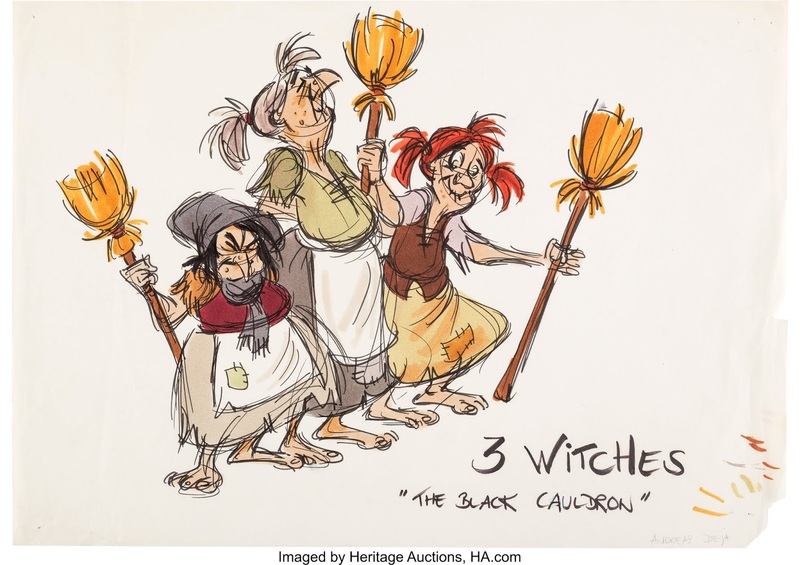 Beate, Ambrose and Ihabo, thank you so much for your hard work to get the characters to color. And Natalie, your background paintings are always breathtaking. The look of the film is so beyond what I had imagined. Matthieu, your staging and continuity work is stunning. Courtney and Andreas WT, thanks so much for your outstanding animation. Daniel, your effects animation is FANTASIA like. And Richard Sherman, you are THE inspiration for our film. Your musical contributions are miraculous. I pinch myself every single day, realizing that you and your brother Robert wrote the soundtrack to my childhood. 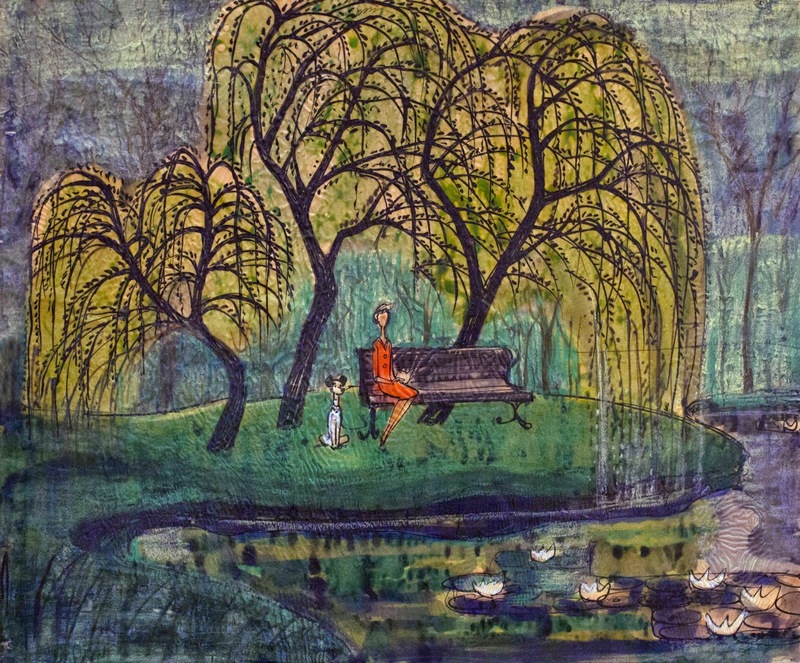 And to have you write music for MUSHKA is beyond words. Fabrizio, thank you for arranging Richard's music, and for scoring our film, you are the greatest! And of course a special thanks to my partner Roger, who wears so many hats on this production. Editing, prepping BG work and X-sheeets, sound etc. 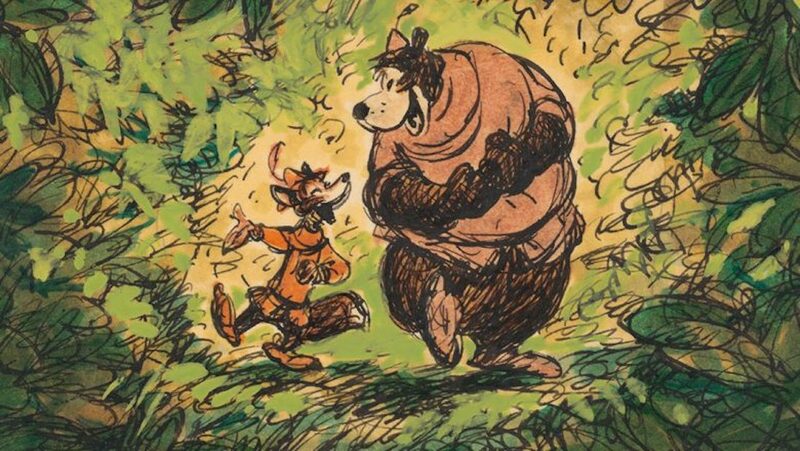 Here is a frame from MUSHKA, just taken off my TV screen. 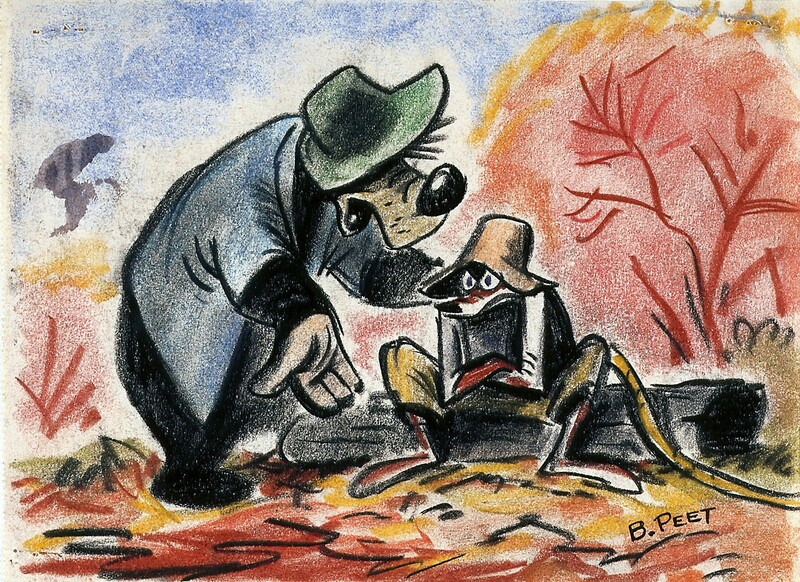 Some more art from Disney's Song of the South. As I mentioned before, Bill Peet's story sketches provided so much information for the animators. Staging, mood and terrific character poses. 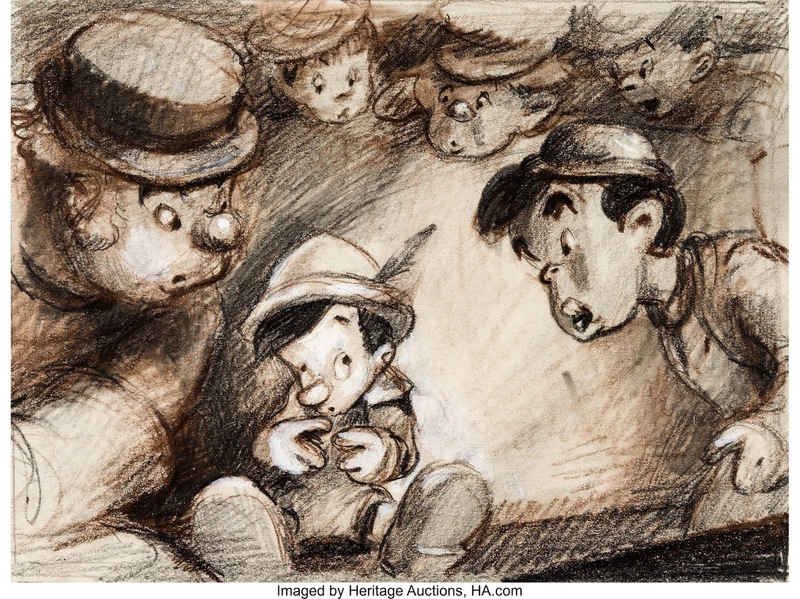 And of course they all (Milt, M.Davis, Ollie, E.Larson and Lounsbery) loved taking visual cues from Peet's storyboards. 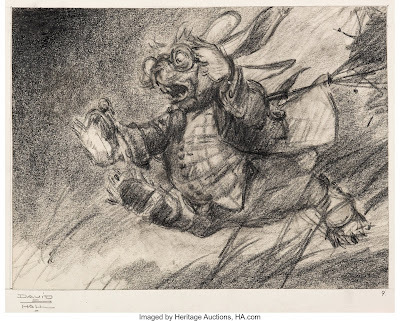 So much energy in his drawings as well as in the final animation. A couple of incredible background paintings from the film. With apologies regarding the tar baby image. Each time I discover a new TS Sullivant illustration I can't help but smiling from ear to ear. 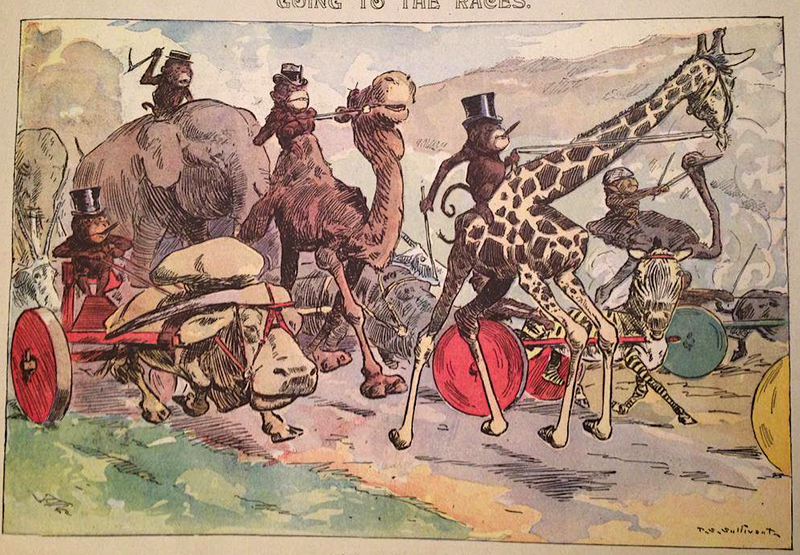 Today brought such a moment when I found this beauty online, "Going to the Races". Apparently monkeys are in charge here of the rest of the animal menagerie. 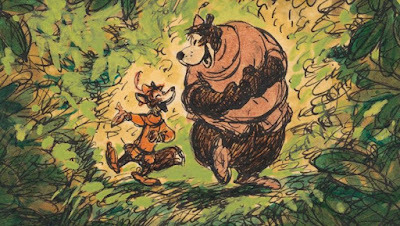 Sullivant loved animals like no one else, being able yo infuse his characters and compositions with such exuberance and joy. I have posted plenty of his work on this blog, but there's more coming from my Sullivant files and Life magazines. Some of us just can't get enough of this man's genius. 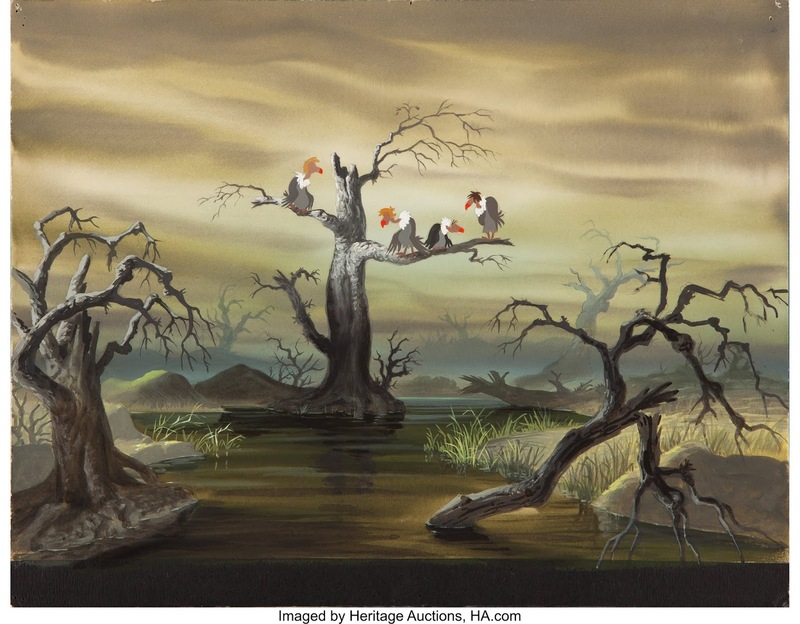 Here are some wonderful pieces from The Jungle Book that were recently sold at auction. 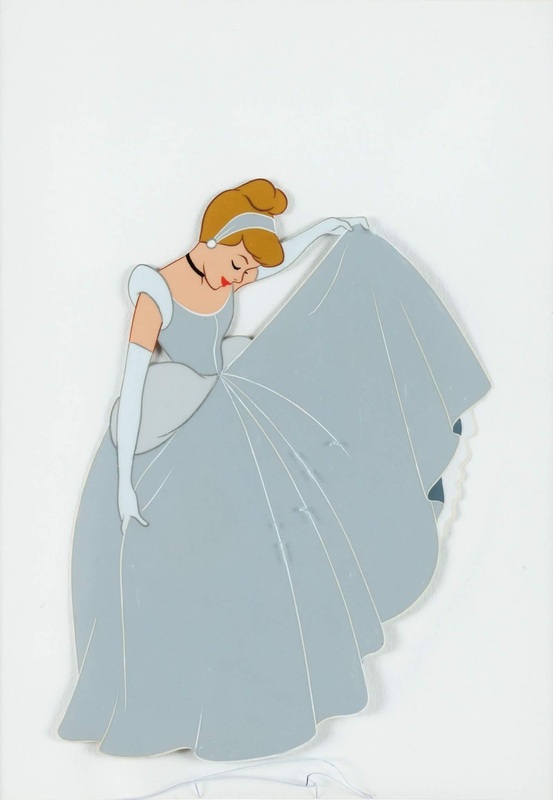 The piece above is a cel set up (matching cel with painted background). I don't know who painted this background, but the animation is by Milt Kahl. 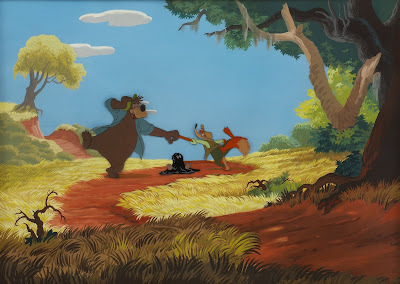 What I particularly like about the painting is the fact that some dark line work was maintained to match the characters' outlines. I would call this a quintessential scene from the movie. 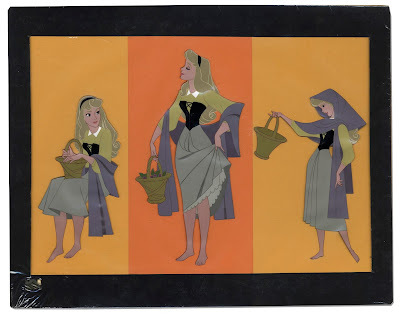 Below are a couple of concept paintings by Art Riley, who was one of Disney's great background painters. Google him and you'll find tons of his personal watercolors. 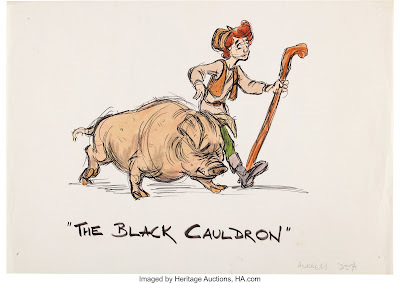 It is astonishing to realize that Disney allowed his story sketch artists to work in a graphic style that was comfortable to them, and personal. 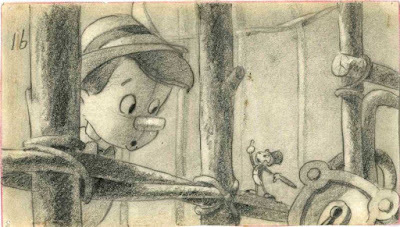 Sometimes those sketches were mere character animation poses, other times the whole background scenery was included. 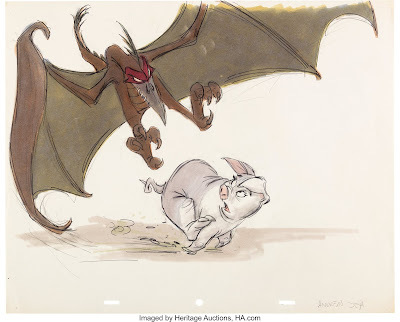 It was up to the story sketch artist to put down on paper what would communicate best to Walt, the animation crew, and eventually the audience. 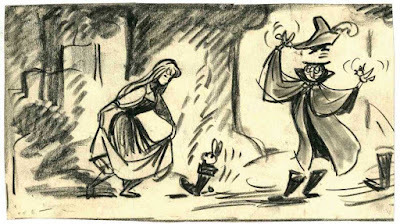 The opening scene from Robin Hood by Ken Anderson. 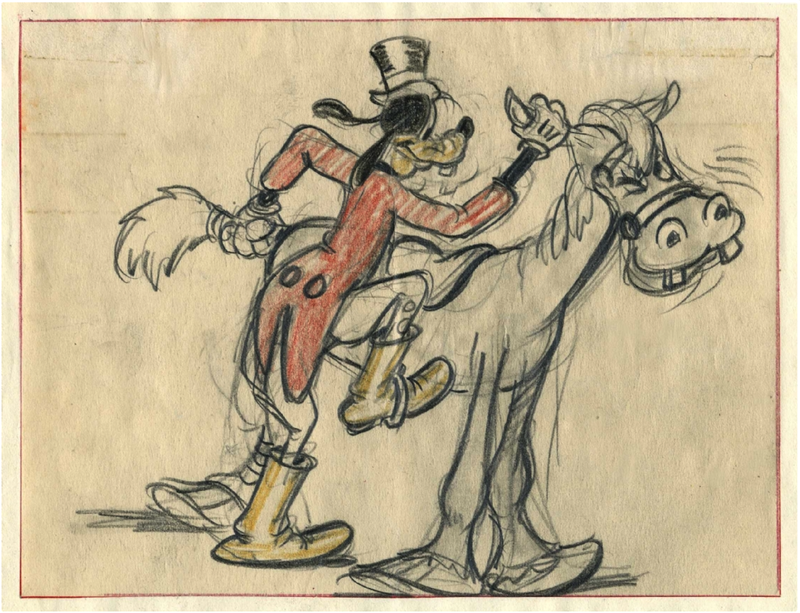 Not sure who boarded "How to Ride Horse" from 1941, but you can see that this story artist was all involved with Goofy's animation business. 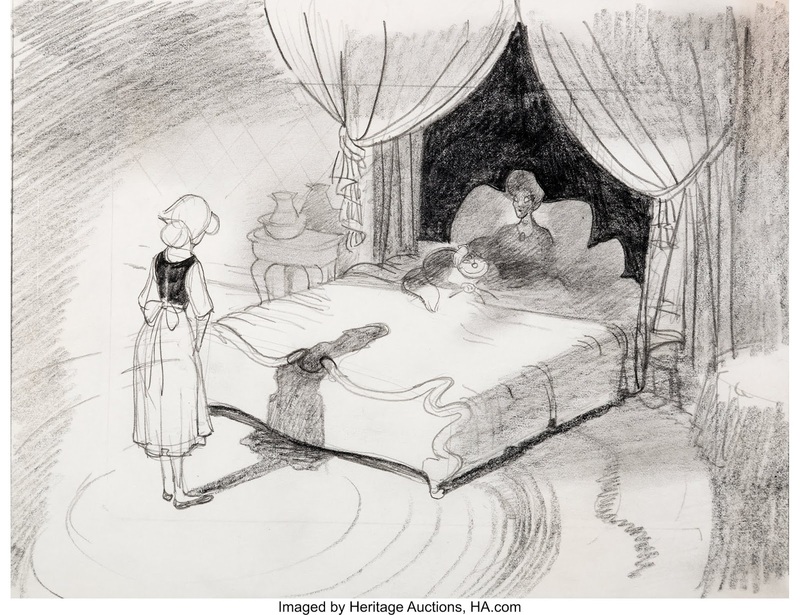 Disney's first features were all about light and shadow, so the story sketch artists rendered the environments as well as he characters. 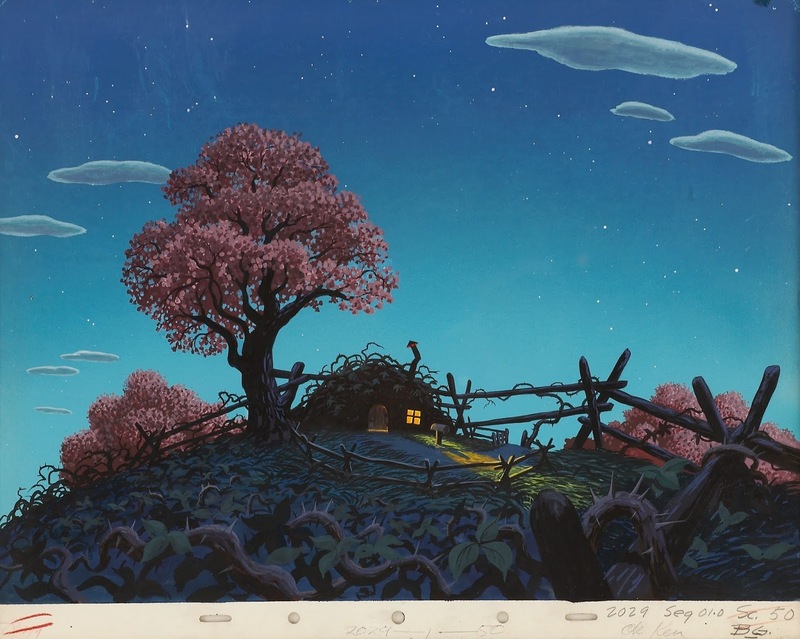 James Bodrero boarded the entire Pastoral sequence from Fantasia in color. It helped to visuals what the final film might look like. 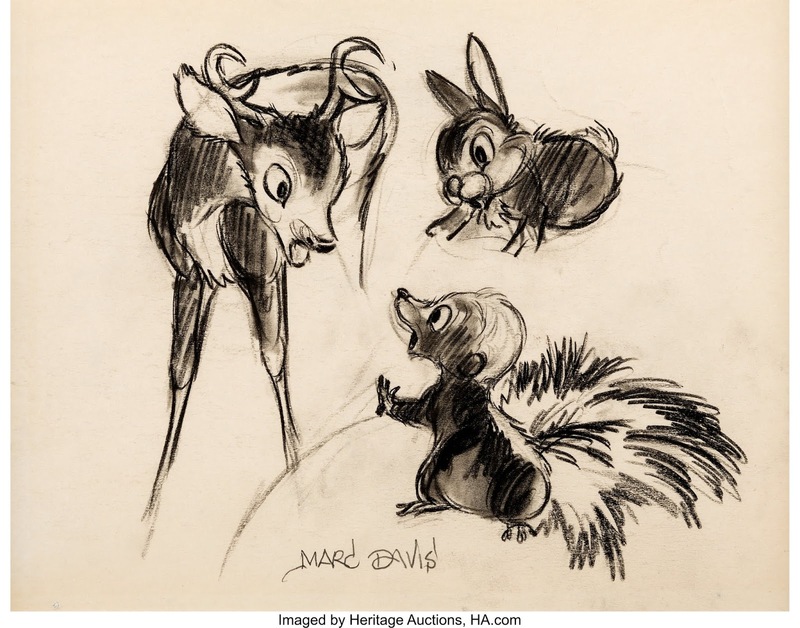 Marc Davis did story and character design work on Bambi for quite a few years. 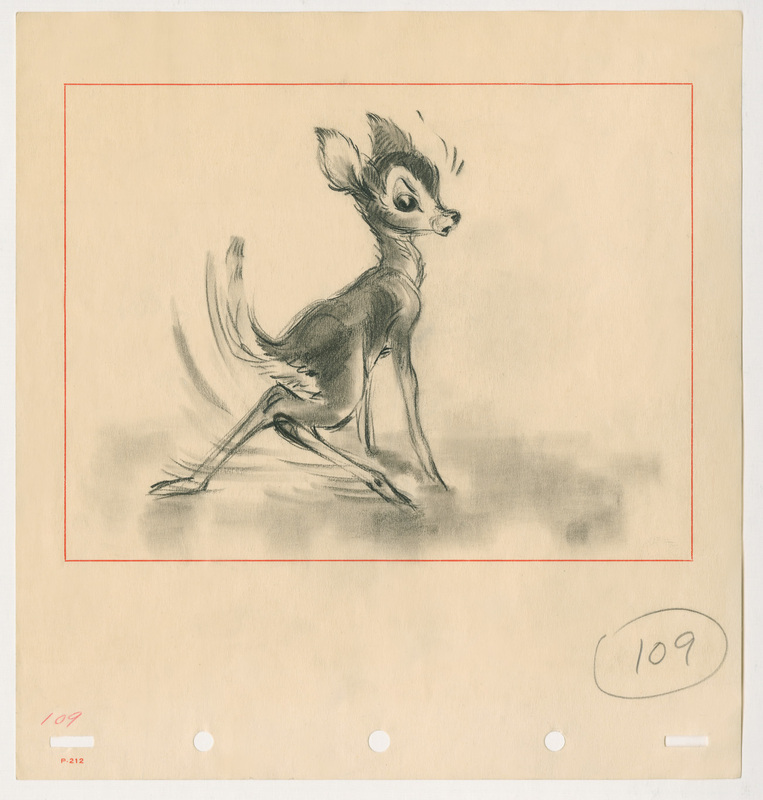 I think Bambi's characters works so well because of Marc's extraordinary contribution. key poses that could be adapted directly for final animation. 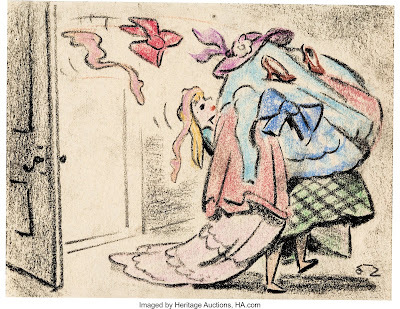 A beautiful story sketch from Cinderella, perhaps by Joe Rinaldi. 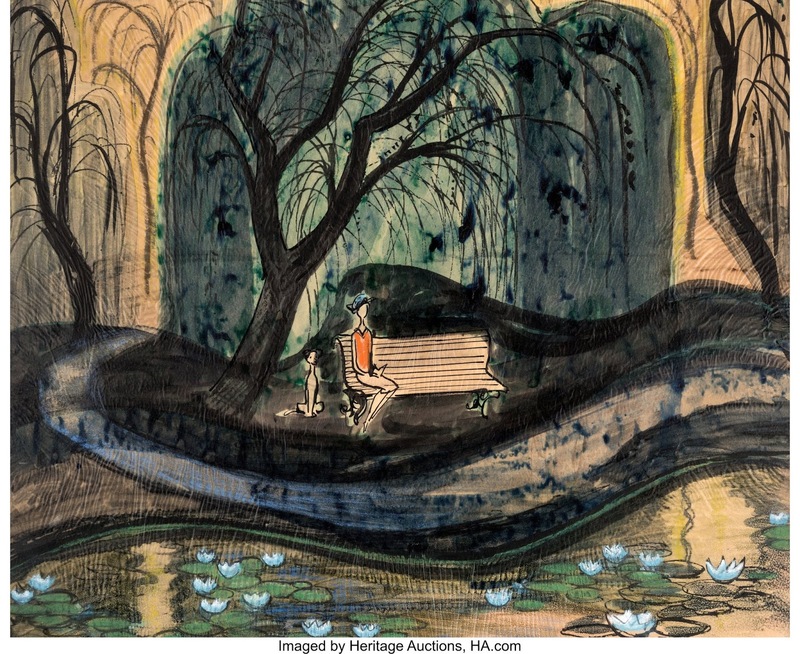 David Hall's illustrative style for Alice in Wonderland is complex and a little haunting. Bill Peet didn't enjoy boarding this sequence for Sleeping Beauty, he much preferred working on material involving Maleficent's Goons. 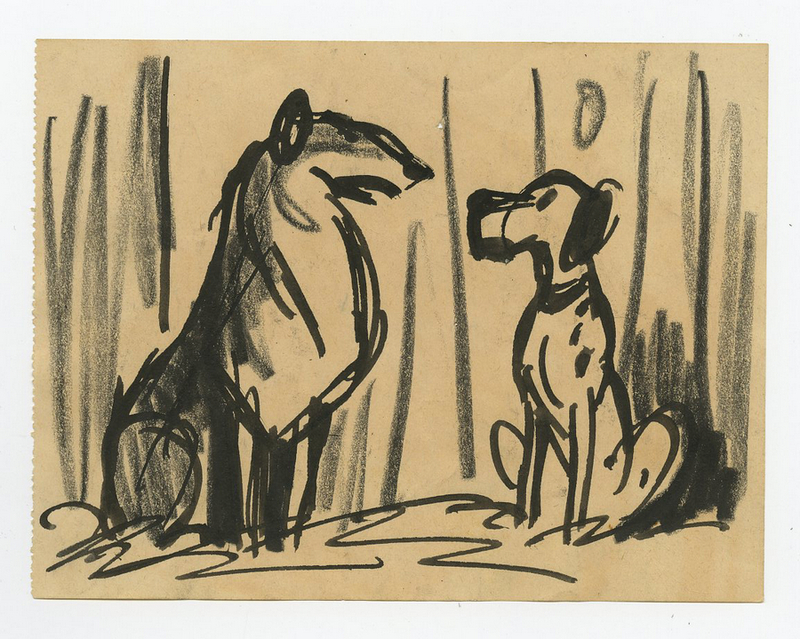 Bill Peet single handedly storyboarded 101 Dalmatians. Every animator loved working on material Peet developed for a Disney animated film. 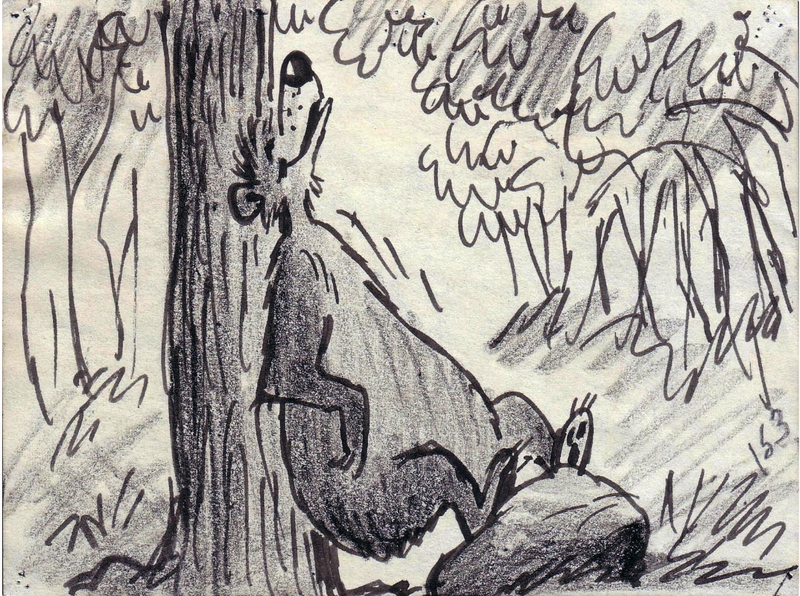 This story sketch from Jungle Book reminds me of Bill Peet's children's book illustrations. Simply staged and full of personality. 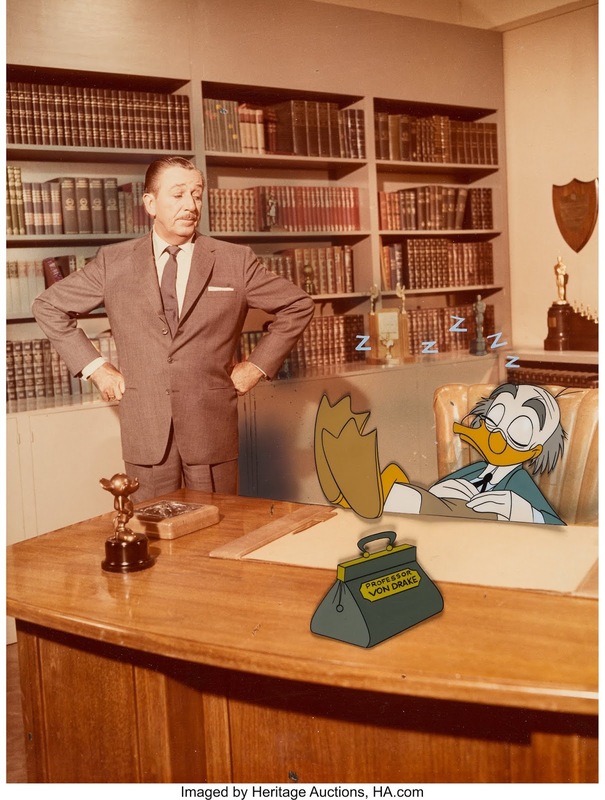 Ludwig Von Drake is a great TV character, created late in Walt's life during the early 1960s. According to one artist who was there at the time, one of the animators who was assigned to this new Disney personality was Marc Davis. Marc had just finished Cruella De Vil, and he was not eager to "step down" to do animation for a TV character. Marc did produce some animation of Ludwig, which did not meet approval. 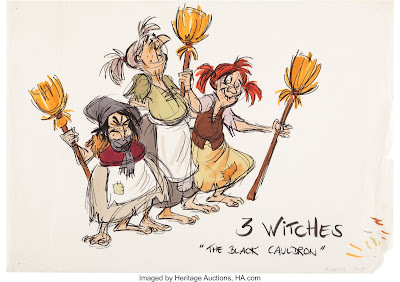 Marc moved over to Imagineering instead, and the rest is history. 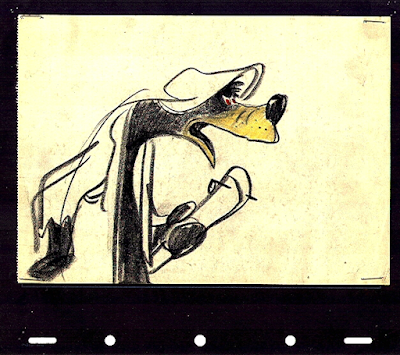 Milt Kahl took over and designed Ludwig's earliest scenes for his first TV appearance in the 1961 episode "An adventure in Color". Needless to say...brilliant work. 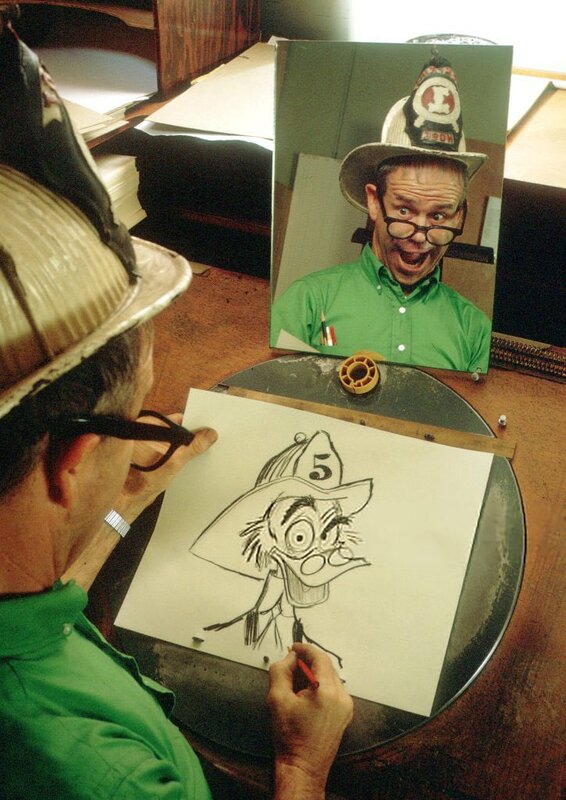 Ward Kimball was put back into animation on Ludwig after Walt's dissatisfaction over Ward's involvement in the mostly live action musical Babes in Toyland. In the end I believe that Milt and Frank Thomas MADE the character into the personality we all know today. A befuddled, often confused yet likeable professor.